Deep, dark opacity. Nearly impenetrable with some light cherry red rims. Blackberries and black cherries paired with a rich leather note and some Earl Grey. The wine was tasted slightly cooled. On the palate fresh, fruity with delicate acids, which are slowly converted into a velvety carpet of perfectly integrated tannins. Intensive vibrations. The finish is soft and incredibly long, accompanied by the acidity from the beginning as a pairing resonance. Breathtaking! Not a typical New World Cab. The wine is of course at its beginning. Waiting another three years makes sense - but why? Decant this beauty for an hour or so and pair it with Tournedos Rossini. Stunning. Total lifetime 20+ years. This site may use SSL or TLS encryption for security reasons and for the protection of the transmission of confidential content, such as the inquiries you send to us as the site operator. You can recognize an encrypted connection in your browser's address line when it changes from "http://" to "https://" and the lock icon is displayed in your browser's address bar. Medium ruby red, some light rims. Very earthy. Aromas of cold tobacco and cold black tea complemented with dark cherries. On the palate intensive, a little bit astringent paired with the freshness of young red currants. Some peppery notes recognizable. The wine remains in your mouth for a long time - and after a certain while lips and tongue begin to vibrate. Fascinating. 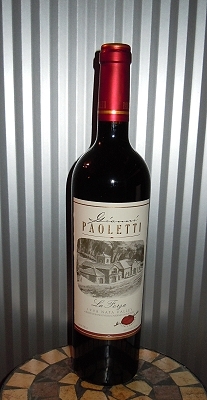 This is the second wine I bought at California Wines when the 1998 special sale started. And it was a very good decision. The owner of California Wines writes in his catalogue "terrific wine". Absolutely true. And I believe this is a perfect example of the hidden quality of this totally underestimated vintage in Northern California. The wine is elegant with a strong backbone. Not really a bargain but worth every penny. A wonderful present or for a very special dinner. My beloved wife prepared for this wine an outstanding lasagna - due to its richness for me still the benchmark for a Sangiovese driven wine. La Forza is on the top - and will retain its remarkable quality for another three years minimum. Medium cherry red; no indication of old age at all. Ripe forest fruits - rather shy than intrusive. Very unusual for a ripe Zin. Nearly no earthy notes. On the palate fresh and clean. 20 years old? Never ever - if I wouldn't know better. Blueberries and a hint of strawberries paired with a touch of rose pepper. Elegant, smooth, long - very long. 1998 was a difficult vintage in Northern California. Sometimes the vintage is called the "first of the El Niño vintages". The Napa Valley Vintage Reports noted: "An abnormally wet El Niño spring and late summer caused a poor set for the 1998 vintage crop. During the growing season, clusters also were subjected to uneven ripening and threatened with sunburn, sending growers into the vineyard, performing more hand manipulation of the vines and reducing crops. With a later than usual harvest, growers faced the possibility of rains, but nature cooperated with a warm and sunny early autumn. Picking started in late September, went into full swing in October and reached completion in early November. The clusters, while small and low in weight, produced elegant fruit with definite personality and complexity. The juice to skin ratio was very low, which translates into extracted wines with concentrated fruit flavors." So it is not quite surprising that this vintage was on average quite poorly rated - consistently so in Wine Advocate and Wine Spectator. The funny thing is that my experiences over the last five years were different. Nearly all Northern Californian wines from this vintage I drunk in this time period were at least good if not even outstanding. And the best thing: In contradiction to wines from the "vintage of the century" 1997, these wines are usually very fairly priced - and available in a larger selection. Well. These are enough reasons for me to start on the occasion of the 20th anniversary a small retrospective. For this the people in Germany are in a very good position. One of the best (online) shops for wines from Northern California is located in Munich - and its name is - quite surprising - California Wines. The owner has been in the trade for more than 30 years and offers wines from back to 1986(!). And in contradiction to wines from auctions, etc. 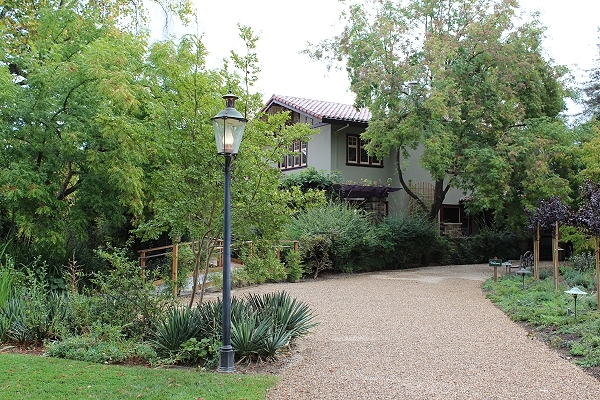 all offered wines have seen in their life only two storage locations - the winery and California Wines. And as luck would have it: The owner of the shop had similar ideas than I had. For the 20th anniversary he offers to his clients a special price for nearly all 1998 wines available in the shop - 31 red ones and 5 white ones. Please see California Wines Special Sale. So no long considering: A first order for three bottle of wines which I had had in mind for a long time was placed. And the St. Peter's Church Vineyard Zinfandel from incredible Kent Rosenblum and his great team was one of these - and to this wine we come back the next day. Over night the St. Peter's Church again evolved. Now wet forest floor notes accompany the fruit aromas. Very charming. On the palate still refreshing. 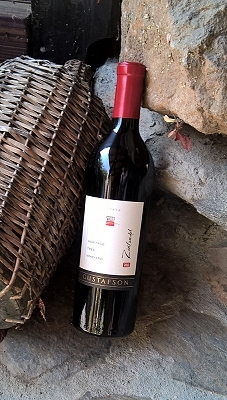 Pair this masterpiece of a Zin with a classical saltimbocca. With a lot of rosemary. Wonderful combination. I am quite sure this wine will still provide lots of pleasure the next anniversary in 2028. No doubt. Clear, bright ruby red. Strawberry - of course - and raspberry paired with gentle red pepper. Fruity and exquisitely spicy. The spiciness remains for a surprisingly long time on the palate. Pure and vinified to perfection. The wine is at the beginning of its optimal maturity and will stay on this level two years minimum. Total lifetime six years plus. A true best value! And a wonderful partner for a pulled pork BBQ. "The everyday wine for the well-informed." - I think that it is a slight understatement by the Decoy people. A wonderful food-pairing Merlot. Clear, medium ruby red. Notes of pepper seasoning and rose pepper paired with maraschino cherries. At the beginning the spices are definitely dominating. After a while also black cherries and bramble berries are noticeable. The total picture is perhaps a little bit reluctant. But this changes dramatically with the first sip. Very elegant and totally balanced. Fresh, fruity and a discreet acidity. Long, smooth finish. No hardness recognizable as very often seen with Californian Merlots. We selected this wine for a great lamb filet dish. Served with rice and plum chutney. In addition rocket salad with apples, cranberries, goat cheese and lemon dressing. And exactly here the Decoy shows its strength. 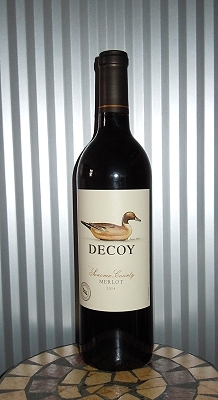 No matter if you taste the ingredients separately or as full accord: The Decoy Merlot knows the answer. Strong with the meat and peppery fruitiness with the chutney. And in combination? Simply underlining all the flavors. Bravo! "The everyday wine for the well-informed." This is what Decoy writes on the back label. I believe there is more. Elegant wines which can be fantastically combined with a lot of dish ideas. This particular Merlot is your partner for the upcoming events with duck, turkey or goose. Just at the beginning. Will be even better in one or two years. Total lifetime 5+ years. Medium cherry red. Notes of plums, ripe, dark cherries and some cowberries paired with a little bit of dark chocolate. Harmonic and fresh. On the palate the fruit notes are dominating. A light acidity is recognizable, but in total a very pleasant medium-long finish. I found this bottle at the Grocery Outlet - for below 10$! The original price at the winery - where the wine is already sold out - was more than 30 bucks. So a real bargain? Indeed! The price ratio is unbeatable. Especially because Thanksgiving is approaching soon. And this Zin is an outstanding partner for a huge Thanksgiving turkey. So even if this wine just entered the enjoyable maturity: Don't wait. Check out your local Grocery Outlet and buy what you can. It will remain on this level for another three to five years. Bright golden yellow. First impression: pure pineapple. In addition lychee as well as a lot more of tropical fruits. On the palate the pineapple continues and provides a creamy carpet. Long, very long finish. And somewhere in the middle a touch of acidity you can find in lemons. Fascinating. The interesting thing with Californian Viognier is the diversity or better the philosophy of the different winemakers working with this outstanding grape. I usually prefer the "perfumed" style provided for instance by Cline Cellars, Sebastiani or Thomas George Estates. In my opinion the biggest mistake you can do is to prepare a Chardonnay copy. I drunk this very often during my visits and I believe this is the wrong way because you are losing the elegance provided by Californian Viognier. And this is one of the biggest pros in the competition for instance with a Condrieu. The Freemark Abbey is somewhere in the middle. It has also a little bit the "Chardonnay punch", but an almost aristocratic elegance is still given. Definitely not the wine for every day. Pair it with seared scallops. 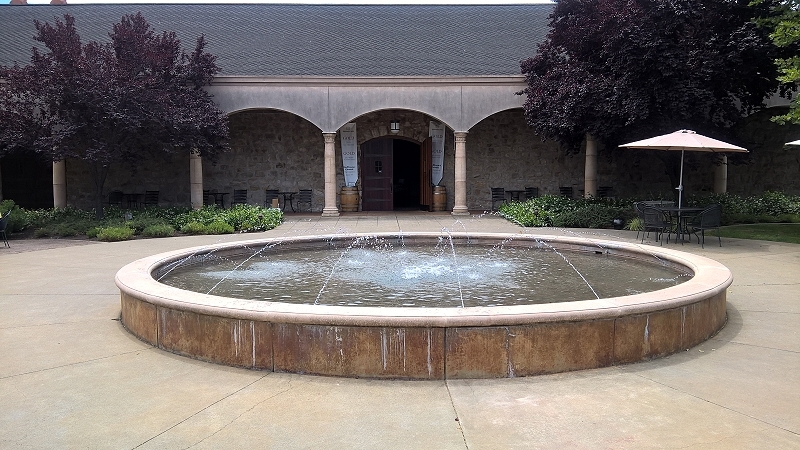 You can drink the 2013 Freemark Abbey Viognier now or over the next three years. Medium ruby red; some light rims. Restrained wild berries presented in a harmonious way. A little bit of bacon; in the background notes of an odorous smoking lounge. On the palate melting fruits I never recognized before. Long, animating with an aristocratic freshness. Terrific. This reserve Cab improved dramatically since I tasted it the first time in October 2016 at the winery. Already at this time the wine was very good but far away from the "World Series" level on which it presents itself at the moment. The comparison with the MLB is not by accident. In case your team will reach the "World Series" in 2017 or in the next ten years the Cab is a nice alternative for celebration. Of course as part of an adequate BBQ. Deep, dark cherry red with some light rims. Extremely young. Lots of blackberries, very dark chocolate and a hint of mocha. The tannins are already well-integrated, but the youthfulness of the wine is obvious. While the wine offers nice creaminess, a certain aggressivity is given. Typical for young Napa Cabs. However the finish is long and smooth with an animating tone of Darjeeling. Fascinating. The slogan behind this wine project is "AD VIVUM, where wine and life meet". 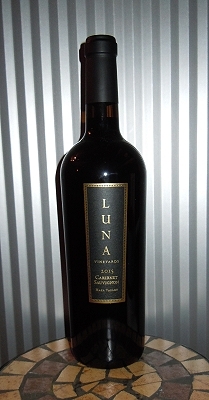 Ad Vivum is a cooperation between well-known winemaker Chris Phelps and fifth-generation farmer Larry Bettinelli, who is the owner of the Sleeping Lady Vineyard just south of Yountville - the source of this Cab. The name shall express the "mystical intersection of wine and life" by the Latin words AD (toward) and VIVUM (Vivere, to live plus Vinum, wine). One can argue that any new wine project is looking for a slogan for promotional reasons. But it seems to me that the situation here is different. Why? Because the Ad Vivum is not another big, bold Cab. Although the wine has nearly 15 % alcohol, a royal elegance is given. Far away from the usual "give me a lot of points after five seconds tasting" attitude. This wine needs time. A lot of time. And as I mentioned before patience is needed. Wait another two years or decant it for a minimum of three hours. Total lifetime 15 years plus. At the moment I would pair the 2012 Ad Vivum with braised lamb shoulder. The hearty version! Clear, medium ruby red. Nearly no maturity tones visible. Intensive aromas of ripe black cherries; a little bit like a Black Forrest cake. Or even better: A brownie with pickled cherries. Also some floral notes recognizable and in the background some cinnamon. On the palate: Fruit explosion! An insane mix of fruit acid and spiciness paired with an amazing freshness. Neverending finish. Bravo! I bought this bottle on the winery years ago. 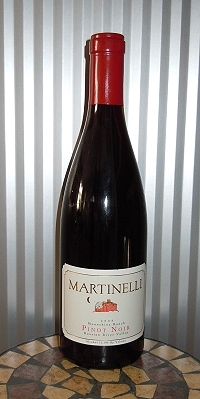 The tasting at Martinelli was very remarkable for three reasons. First - of course - the quality of all wines. But even more the philosophy of the Martinelli people. The Pinots were poured before the Chardonnays. It was the first time for me that the wines were presented in that order, but it makes absolutely sense. Last but not least it was also the first time in California I discussed the microclimate topic in a tasting room - and I learned a lot about the microclimate situation in the Russian River Valley. And this helped me over the last five years to understand the relationship of this fascinating area and its grapes. Thanks for this. Coming back to this outstanding bottle of the "Moonshine Ranch" Pinot. The wine is absolutely on the top. I don't think it will improve further. Drink it now and pair it with a rib eye steak. And forget any Cab recommendation for this kind of pairing. Deep, dark cherry red with some light rims. Intensive dark berry fruits paired with a little bit of bacon and some black pepper. On the palate fresh with a nice acidity and in parallel a little bit spicy. Long refreshing finish. Terrific example of a Sonoma Cab. A little bit fresher and more elegant than the brothers and sisters from the famous neighborhood. We visited Sebastiani in June 2016 for the first time. The reason for our visit was the "ordinary" 2010 Cab we drunk some weeks before (see also 2010 Sebastiani Cabernet Sauvignon "Sonoma County"). The tasting was outstanding. Wonderful people and exceptional wines. Our favorites this day were the 2014 Viognier and three Cabernets Sauvignon "Cherry Block" (2010 - 2012) which were allowed to taste vertically. Awesome! 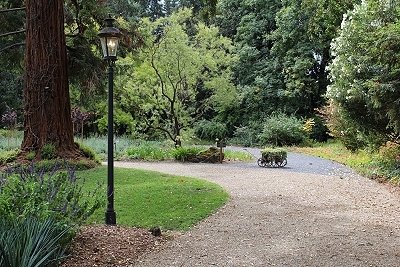 Sebastiani Vineyards including the Cherry Block Vineyards was sold in 2008 to the Foley Wine Group. 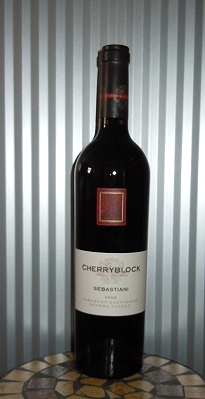 Until this point since 1919 the Cherry Block Vineyards was owned by the Sebastiani Family. The tasting of these fantastic Cabs at Fourth Street in Sonoma was so remarkable that I did not hesitate for a second when a well-respected German importer offered me some bottles of the 2002 Cherry Block for my business. He originally had held these bottles back in order to drink them himself, but decided at last that he could not drink all of these wines. The fruits in 2002 exhibited lots of color and tannin. Therefore the Sebastiani winemaker decided to blend the Cab with more Merlot as usual to soften the wine and increase its elegance. Great decision. The wine is on the top with a huge potential for the upcoming years. You should use a two-prong cork puller for opening but this is the only restriction. If you are looking for the perfect partner for a classic turkey dish then don't look any further. The 2002 Sebastiani Cherry Block Cab will take care of this for you. Deep dark but in parallel shiny cherry red. First impression: Bacon, bacon, bacon. But then slowly blueberries take control. From this moment crème de cassis is plentifully paired with a wild mixture of animating spices. Decanting for at least 30 minutes is a very good idea. The 2009 Cab aromas are indeed very pleasant, but the taste is the key which blows your mind away. On the palate at the beginning extremely fresh. Then parallel to this freshness a certain acidity is joining. This package is already great, but on the next level a velvety transformation process is started which flows into a long, terrific finish. When I taste wine I see only rarely paintings in front of me. This time it is the case. I see a river with rapids. Wild, irrepressible. But when the rapids are passed the river calms down. But without losing its strength. A great Cab. More on the classical side. I visited Arrowood twice in the past. And all the time I preferred the Whites more than the Reds. Perhaps for a simple reason: All the wines of Arrowood need time. See also 2010 Arrowood Chardonnay Réserve Spéciale. But the Whites are a little bit earlier accessible. Sometimes things are easy. 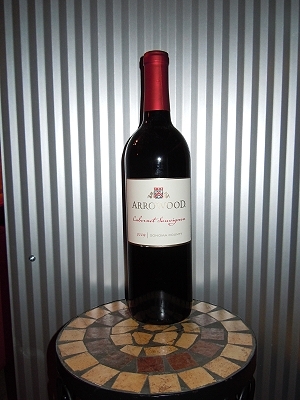 However the 2009 Arrowood Cab is one of the best price / quality ratio I have seen in my life. It is absolutely on the top, but still at the beginning of this fantastic phase. Three or four years more on this level? No problem. Pair it with strongly marinated beef short ribs. Deep and dark ruby red with some light rims. Still very fruity. Boysenberries, blackberries and a hint of ripe plums. Also some sliced dried tobacco leaves. Elegant but in parallel also stimulating. Perfectly developed. At the beginning the mouthfeel is fresh and vibrant. This freshness is improved by a charming acidity to the middle of the long finish. To the end the acidity disappears and makes room for a powerful punch similar to when eating extraordinary dark chocolate. Aristocratic and yummy. Gorgeous. It is now the second time I have the privilege to drink this Cab from Madrigal. Last time around four years ago we enjoyed it from the magnum. For me it seems the wine is still improving. Of course already perfectly drinkable but the potential for another five years is easily given. I have another mag in my cellar. It is Christmas time and I am a lucky guy. Pair it as a variant to a Port with a duck parfait. Additional remark: The 2000 Madrigal is another example of how wonderful Cabs from this totally underestimated vintage can be. On WineAdvocat the vintage is rated 78C! C stands for "Caution, may be too old". Believe me: For this Cab this is totally not true. And I drunk already other examples which might give the impression that the 2000 vintage for the North Coast Cabs was prejudged too early. Pale golden-yellow. The aromas are reluctant but manifold. 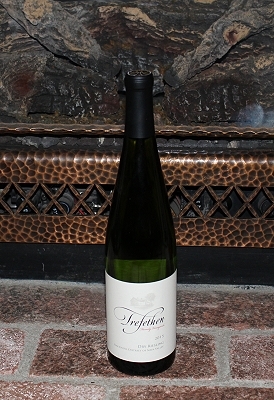 Lime notes paired with several fruit blossoms - peaches, nectarines and again lime. Far at the end also some honey and something which reminds of pastry. And then it becomes clear: Key Lime Pie. Very interesting and absolutely nice. So let's take the first sip. At the very first beginning the lime notes are still dominating. But only for a very short period. Then the taste is converted to a parade of apples. Fuji, Pink Lady and a touch of Granny Smith. As a consequence the well-integrated acidity is developing on the way to the long finish. At the beginning a little bit stronger, then in the middle smoother and finally to the end a sustained tartish finish. A very good example of a hot-summer Riesling. And indeed THE perfect Dry Riesling for the Napa Valley region. I visited Trefethen especially because of the Riesling. But all other wines presented by the charming tasting room people were of exceptional quality. My favorite of the day was the 2012 Reserve Cabernet Sauvignon. However also the Riesling was surprisingly good and so I decided to take a bottle with me for a later tasting without the influence of the great interior and the friendly people. Totally surprising the wine was even better than in the tasting room. We enjoyed it as part of a Mexican dinner, and especially with a classical Filete de Pescado the wine unfold its strength. Drink this harmonious US Riesling over the next three years - even if I think that a great maturity potential for the Trefethen Rieslings is given.